Hypocrisy is the state of pretending to have virtues, moral or religious beliefs, principles, etc., that one does not actually have. Hypocrisy involves the deception of others, often maliciously or callously, or of oneself, often because of desires or needs to cling to various forms of comforting delusions which further exposure to truth would diminish or eradicate. To hide the feeling heart? Mark Akenside, Pleasures of Imagination (published 1744), Book II, line 147. What makes it so plausible to assume that hypocrisy is the vice of vices is that integrity can indeed exist under the cover of all other vices except this one. Hannah Arendt, ch. 2 of On Revolution (1963). A musician would not willingly consent that his lyre should be out of tune, nor a leader of a chorus that his chorus should not sing in the strictest possible harmony; but shall each individual person be at variance with himself, and shall he exhibit a life not at all in agreement with his words? Basil of Caesarea, On Greek Literature, Loeb Classical Library, volume 270, p. 401. He that puts on a religious habit abroad to gain himself a great name among men, and at the same time lives like an atheist at home, shall at the last be uncovered by God and presented before all the world for a most outrageous hypocrite. Thomas Brooks, The Privie Key of Heaven (1665). Saint abroad, and a devil at home. John Bunyan, Pilgrims Progress (1678), Part I. Is dimm'd, for a time, with a Tear. Lord Byron, Don Juan (1818-24), Canto X, Stanza 34. Not what you seem but always what you see. Lord Byron, Don Juan (1818-24), Canto XI, Stanza 86. Since we are all naturally prone to hypocrisy, any empty semblance of righteousness is quite enough to satisfy us instead of righteousness itself. John Calvin, Institutes of the Christian Religion, Book 1, Chapter 1. As if the world and they were hand and glove. William Cowper, Table Talk (1782), line 173. People who are stupid, unscrupulous, or hypocritical, think that others are just the same. And — this is the real pity — they treat them as if they were. Their mouths speak of love, but their hearts are greedy for unjust gain. A hypocrite is in himself both the archer and the mark, in all actions shooting at his own praise or profit. Thomas Fuller, The Holy State and the Profane State (1642), The Hypocrite. Maxim 1, Book V, Chapter VIII. Piety is not an end but a means to attain ... the highest degree of culture. This is why ... those who parade piety as a purpose and an aim mostly turn into hypocrites. No man, for any considerable period, can wear one face to himself and another to the multitude, without finally getting bewildered as to which may be true. Nathaniel Hawthorne, The Scarlet Letter (1850), Chapter 20. These people come near to me with their mouth and honor me with their lips, but their hearts are far from me. Samuel Johnson, The Rambler, No. 20 (May 26, 1750). Samuel Johnson in Dr. Johnson’s Table Talk (London: 1807), p. 30. We reject the pharisaical sanctity, which is but a covering of shame, under which sin has free play. When a man puts on a Character he is a stranger to, there's as much difference between what he appears, and what he is really in himself, as there is between a Vizor and a Face. Jean de La Bruyère, The Characters or Manners of the Present Age (1688), Of Men, Chapter XI. L'hypocrisie est un hommage que le vice rend à la vertu. Hypocrisy is the homage which vice renders to virtue. Alternate translation: Hypocrisy is a tribute vice pays to virtue. 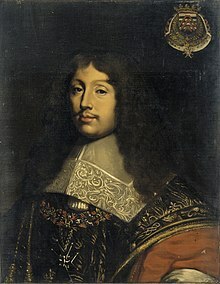 François de La Rochefoucauld, Maximes (1665–1678), 218. A on his lips and not-A in his heart. Georg Lichtenberg, The Waste Books, R. J. Hollingdale trans. (2000), E95. Society mediates between the extremes of, on the one hand, intolerably strict morality and, on the other, dangerously anarchic permissiveness through an unspoken agreement whereby we are given leave to bend the rules of the strictest morality, provided we do so quietly and discreetly. Hypocrisy is the grease that keeps society functioning in an agreeable way, by allowing for human fallibility and reconciling the seemingly irreconcilable human needs for order and pleasure. Janet Malcolm, The Journalist and the Murderer (1990). New York: Knopf, p. 55. You never come right out and admit you have stretched the rules for your own benefit. You do it and shut up about it, and hope you don't get caught, because if you are caught no one—or no one who has any sense—will come forward and say he has done the same thing himself. Woe to you, teachers of the law and Pharisees, you hypocrites! You clean the outside of the cup and dish, but inside they are full of greed and self-indulgence. By his permissive will, through heav'n and earth. John Milton, Paradise Lost (1667; 1674), Book III, line 682. Many young whites had suddenly discovered hypocrisy; their fathers and forefathers had written and talked brotherhood and democracy while practicing greed, imperialism, and racism. While speaking of the rights of mankind and equality for all, of "free enterprise," the "profit system," "individualism," and "healthy competition," they had plundered the wealth of the world and enslaved Blacks in the United States. White youths now saw through this hypocrisy and were trying to bring about changes through traditional electoral politics. But reality is impervious to idealism. These youngsters were discovering what Blacks knew in their bones— that the military-industrial complex was practically invincible and had in fact created a police state, which rendered idealism powerless to change anything. Video meliora, proboque, deteriora sequor. I see better things, and approve, but I follow worse. When writers with the reputation of intelligent and perceptive critics of human life teach us, day in and day out, that vileness is distinguishable from decency only in respect of being less hypocritical, … it is small wonder that ordinary people come to disbelieve in any objective principles by appeal to which one form of conduct can be regarded as morally better than another. Rid yourselves of all malice and all deceit, hypocrisy, envy, and slander of every kind. Like newborn babies, crave pure spiritual milk, so that by it you may grow up in your salvation. To serve the Devil in. Robert Pollok, The Course of Time (1827), Book VIII, line 616. Robert Pollok, The Course of Time (1827), Book VIII, line 628. His givings rare, save farthings to the poor. Alexander Pope, Moral Essays (1731-35), Epistle III, line 347. To condemn your sin in another is hypocrisy. Not to condemn is to reserve your right to sin. And ravish'd from me all my soul held dear. Nicholas Rowe, Lady Jane Grey (1715), Act II, scene 1, line 235. It is better to be despised for simplicity than to be tormented by continual hypocrisy. William Shakespeare, Hamlet (1600-02), Act III, scene 1, line 47. My tongue and soul in this be hypocrites. William Shakespeare, Hamlet (1600-02), Act III, scene 2, line 414. William Shakespeare, Macbeth (1605), Act I, scene 7, line 81. William Shakespeare, Measure for Measure (1603), Act III, scene 2, line 285. He liv'd from all attainder of suspect. William Shakespeare, Richard III (c. 1591), Act III, scene 5, line 29. Did ever a dragon keep so fair a cave? William Shakespeare, Romeo and Juliet (1597), Act III, scene 2, line 73. How inexpressible is the meanness of being a hypocrite! how horrible is it to be a mischievous and malignant hypocrite. Voltaire, Dictionnaire philosophique portatif ("A Philosophical Dictionary") (1764), Philosopher, Section I.
Oscar Wilde, Importance of Being Earnest (1895), Act II. Quotes reported in Hoyt's New Cyclopedia Of Practical Quotations (1922), p. 383-84. Is to seem everything but what they are. Oliver Goldsmith, Epilogue to The Sisters, line 25. Attributed to Dr. Laud by Bacon, Apothegms, No. 273. Should wear his cross upon the heart. Friedrich Schiller, The Fight with the Dragon, Stanza 24. Woe unto thee if after all thy profession thou shouldst be found under the power of ignorance, lost in formality, drowned in earthly-mindedness, envenomed with malice, exalted in an opinion of thine own righteousness, leavened with hypocrisy and carnal ends in God's service. Hypocrites do the devil's drudgery in Christ's livery. When you see a man with a great deal of religion displayed in his shop window, you may depend upon it he keeps a very small stock of it within. If you think that you can sin, and then by cries avert the consequences of sin, you insult God's character. Frederick William Robertson, p. 336. Men turn their faces to hell, and hope to get to heaven; why don't they walk into the horsepond, and hope to be dry?